Behind a high brick wall in the Warwickshire countryside stands — more and more unsteadily — Hundreds Hall, home to the Ayres family, or what remains of it: Mrs. Ayres, a genteel, old-fashioned lady in delicate health; her daughter Caroline, a practical, energetic young woman with few future prospects; her son Roderick, still recovering from terrible war injuries and attempting to cope with the failing estate; and Betty, the new 14-year-old maid. On an ordinary summer's day, Dr. Faraday is called to the Hall to attend Betty for a minor ailment. In speaking to her, however, he gets her to admit that she's shamming and that she's afraid there's "something bad" in the house. Thus begins a dark, post-WWII gothic tale told by the doctor himself as he looks back on his peculiar relationship with the Ayres family. After offering to treat Roderick using electrotherapy, he becomes a regular visitor to the house and is therefore one of the guests at a drinks party that goes horribly wrong. The frightening events of that evening are only the first in a series of incidents that seem to plague Hundreds Hall and its inhabitants. Objects appearing out of thin air, mysterious markings on walls, a nearly fatal fire, tapping and fluttering noises, phone calls in the night, a call-bell that rings without being pulled... Could Betty be right? Is there a ghostly presence intent on driving everyone — or one person in particular — mad? Is someone putting on a show for their own twisted reasons? Or is the house itself determined to rid itself of the people within? Dr. Faraday, as a man of science with a slight Knight-in-Shining-Armour complex, does his best to act as a figure of reason amongst the chaos. When Roderick's sanity disintegrates beyond what the Ayres women can cope with, the good doctor comes to their assistance, bringing Caroline and him closer. With each passing day, the progressive, perhaps irreversible decay of the house appears to mirror (or does it merely influence?) the mental health of its remaining inmates, whose grip on reality seems to be slipping... 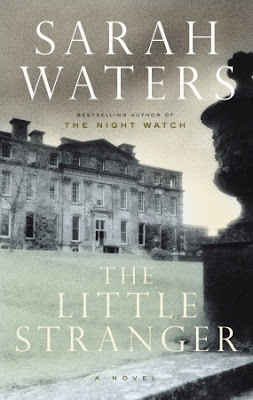 The atmosphere hangs heavy, but Sarah Waters "does" creepy in a brilliantly understated way, with subtle, delicate touches that make it infinitely more effective than the overly dramatic creaking-door-and-thunderstorm combo many authors feel mandatory to incite terror. One of the scenes unfolds in Hundreds Hall's old nursery when Mrs. Ayres goes to investigate strange sounds coming from the long-disused speaking tube that leads down to the kitchen. It's one of the most terrifying things I've ever read in a work of fiction, and a prime example of how to send shivers up readers' backs. I think Sarah Waters takes mischievous delight in keeping us constantly off-balance in this novel. We never know whether to take what we're being told at face value, since the entire narrative comes to us through Dr. Faraday at several years' remove. He could be misremembering details or want to cast himself in a more positive light, or whoever filled him in on events he didn't witness but then reports to us could have committed similar lapses in memory or acts of self-ennoblement. Add to this the fact that every single character could have their own motives for creating the disturbances that plague Hundreds Hall — and that's not even taking into consideration the various "possible" supernatural explanations! While it could be maddening to some, I genuinely enjoyed that each of these alternatives is mentioned and considered, and that any theory or certainty I may have formed as I was reading was almost immediately demolished in the next section or chapter. This is a must for fans of spooky house stories. 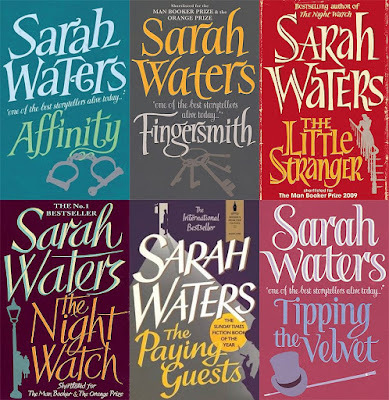 Regarding the ambiguous (and perhaps frustrating) ending: if you do read The Little Stranger, you may be interested in listening to the very end of this Virago podcast interview with Sarah Waters.